There are over 40 items listed in the Camera & Photo lightning deals of the Amazon Gold Box. B&H is back after the holidays and with it are the new Canon M100 mirrorless kits, available in various kits with the M100 w/15-45mm going for $599 in black or white, while the two lens kit (15-45, 55-200) goes for $949 in the same two color schemes. Autofocus technology once again at Rokinonlandia, the Rokinon AF 35mm f/1.4 FE for the Sony E system goes for $799. Leica is back too with another M system lens, pre-orders are accepted for the Thambar-M 90mm f2.2 for the Leica M system for $6500. With the newest second generation model, the Canon 6D II body going for $2000 in new condition at authorized dealers, you’d be paying half for the previous generation. Three models in the Benro BV-series of aluminum tripods are on sale for a limited time at B&H Photo with prices ranging from $699 to $899. Two are leg kits (BV8, BV10), while the more expensive includes a ball head. For more sales, now that B&H is back after the Sukkot holiday, check their Featured Sales. Any previously placed orders should be getting processed and on their way to you by now. 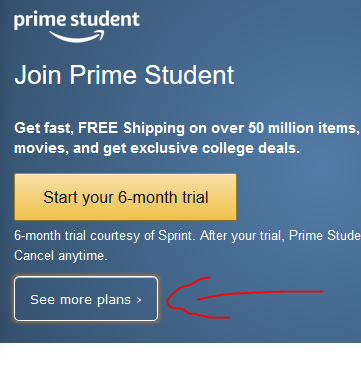 In terms of value, the annual membership costs less than month to month, and at the moment, if you haven’t done a Prime Student membership before, they also have a free six month trial for annual memberships ~ co-sponsored by SPRINT apparently. There are many Prime Benefits but it’s up to you to decide whether they are worth the price of admission. Happening now in the Amazon Gold Box, good until 2:05pm ET today, you can get the new condition YI Lite Action Camera for the very specific price of $81.59 with free shipping, sold by YI with the orders fulfilled by Amazon so they are Prime eligible. The price before the sale was $100 last night. It averages 4.2 out of 5 based on 22 customer reviews. There are over 60 items listed in the Camera & Photo lightning deals of the Amazon Gold Box. The new condition Olympus MCON-P02 Macro Converter is currently going for $49 with free shipping at B&H Photo and Adorama, defeating the refurbished price of $56 + S&H at the Olympus Outlet store.